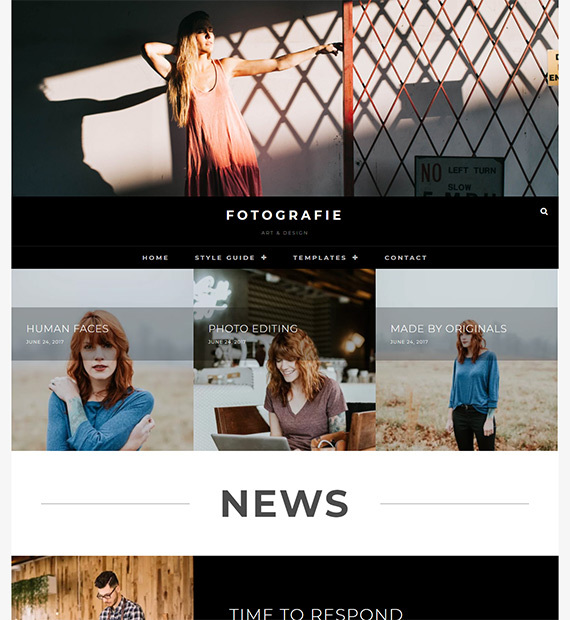 Fotografie is a minimalist WordPress Theme designed for Photographers and Graphic Designers. The free theme provides extremely important features for Photography websites such as multiple Header options, featured content, portfolio, and multiple menus and color design options. The theme’s elegant format and page design ensure that your readers can easily read your blogs and posts while still being able to appreciate your amazing photos, making it an amazing photo blog website theme. Furthermore, the image alignment settings, post layout template options, thumbnails and caption features add that Wow factor to your posts.